Pope Francis plans to call all catholics around the globe against climate change, something that can anger many of the Vatican conservatives. According to Bishop Marcelo Sorondo, chancellor of the Pontifical Academy of Sciences of the Vatican, cited by The Guardian daily, the pope wants to have direct influence about the vital conference of climate of ONU which will take place in Paris on 2015 and will be the culmination of decades of negotiations that will help to determine the future of the planet. “The idea is to have a reunion with the leaders of the principal religions so that all people become conscious of the state in which our climate is and the tragedy of social exclusion. If the current tendencies continue, this century will be witness to the climate change and destruction of the ecosystem with tragic consequences”, said Sorondo. 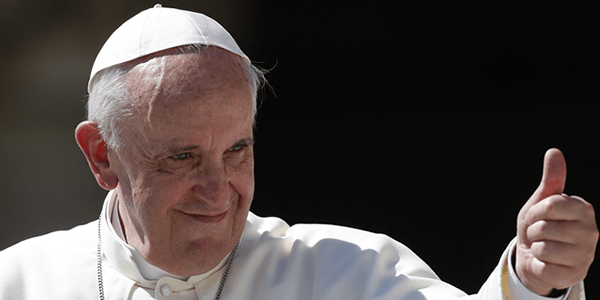 The pope has announced a plan to emit an “encyclical” of the Catholic Church about climate change. However, it will not be easy for Pope Francis to convince 1,200 million of catholics around the globe about the importance of the subject. Even in the Vatican there are some that are skeptic about the impact of global warming. I am al in favor of the pope and his fight against climate change and hope he has great influence in people around the globe to have a positive effect on global warming.